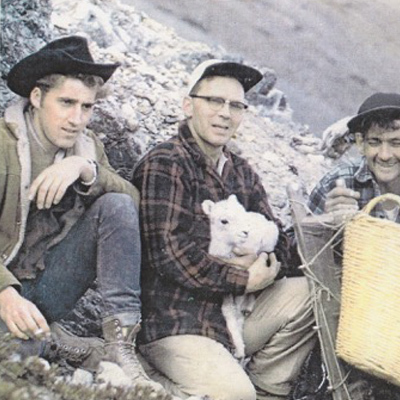 For over 50 years we’ve been providing care for Yukon’s most vulnerable animals. We’ve given a home, and rehabilitated sick, injured or orphaned wildlife to give them a second chance at life. But with increasing demand and rising costs, we need your help to continue providing Yukon wildlife’s with exceptional care. Our goal is to raise $60,000 this year. 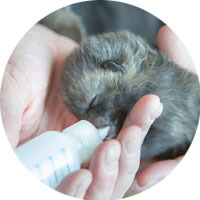 Whether through a one-time donation or monthly ongoing support, your support is critical to provide the necessary procedures, supplies and expertise to rehabilitate Yukon’s injured and orphaned wildlife. Together, we can continue to keep Yukon wild. We are a respite for Yukon’s sick and injured wildlife. We are a home for Yukon’s orphaned wildlife. We care for Yukon’s wildlife community. In the 1970's Danny Nowlan started accepting injured and orphaned wildlife at the Yukon Game Farm. Nearly fifty years later, the Yukon Wildlife Preserve continues to care for Yukon's most vulnerable animals. 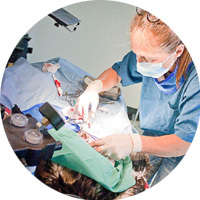 Today, a full-time vet, Dr. Maria Hallock, along with students and interns provide 24 hour care. Since it opened in 2012, hundreds of animals have passed through the doors of the Preserve's Wildlife Research and Rehabilitation Centre. Humans are not the only ones who benefit from a visit to the Yukon Wildlife Preserve. When a storm blew down a large pine with an eagle nest, this eagle suffered a broken leg. The Preserve’s veterinary staff pinned and cast the broken bone. 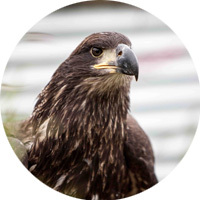 The eagle learned to fly in our large aviary before we released it back into the wild. Separated by dogs from her mother near birth, this moose calf was too weak to stand when she arrived. 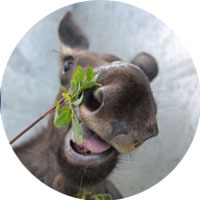 With months of round the clock parenting and care, she flourished – a rare thing for moose in human care. Today, she shares a 33 acre wetland habitat with two other moose at the Preserve. This Great Horned Owl collided with a car, denting the car and giving the owl a concussion so severe it couldn’t see. 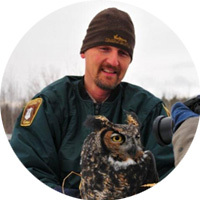 Under the care of Dr. Maria Hallock, the owl got the rest and food it needed for a successful recovery. The driver and owl reunited one last time for the release outside Tagish, Yukon! 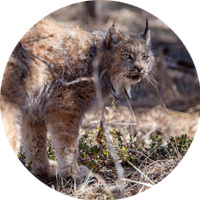 A car hit this lynx outside Dawson City, giving her a concussion and laceration in her leg. A vet in Dawson gave her stitches but she needed a place to recover from her weak, parasite ridden state. 16 days later she made the trip back to her home outside Dawson, healthy and strong. Our goal is to raise $60,000 this year. Your support is critical to provide the necessary procedures, supplies and expertise to rehabilitate Yukon’s injured and orphaned wildlife. feed an eagle for a week. diagnose and cast a broken wing. surgically repair a broken wing. raise an orphaned moose calf. Release healthy animals back into Yukon’s wild. 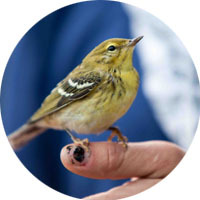 Acquire the equipment, supplies and skills needed to care for Yukon’s injured wildlife. To help Yukoners cohabit within our wilderness territory with empathy and caring. 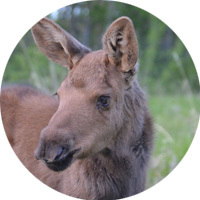 Provide a long-term home for Yukon’s injured and orphaned wildlife. Join us in this important work. We ask a simple question when we accept injured and orphaned wildlife: can we help? Every month injured animals are brought to the preserve. We never know what’s going to come through the door. Your monthly ongoing support will help us be prepared. Exceptional animal care is at the heart of our mission to connect people to Yukon’s incredible natural world. 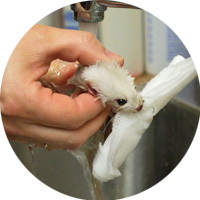 Yukon’s only dedicated wildlife rehabilitation facility. 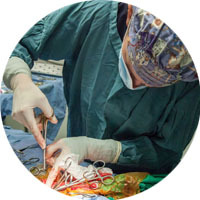 Specialized medical care and supplies for various species. Warmth, shelter, peace and top-quality food during recover. Hands-on student experience and training. Help us give them a second chance. 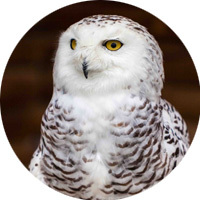 Support our wildlife rehabilitation program. 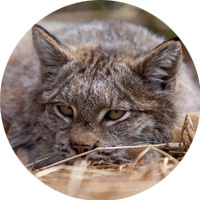 Join us in our relentless pursuit to provide the highest standard of care to Yukon’s vulnerable wildlife.